If you are used to the Italian translation for street, road, square and all the terms referring to toponymy, you can easily feel lost in Venice. Even the name of the sign: ‘nizionoleto’ is the dialect word for sheet. The only things that are called as all Italians do, are bridges. All the other names are specific for Venice. 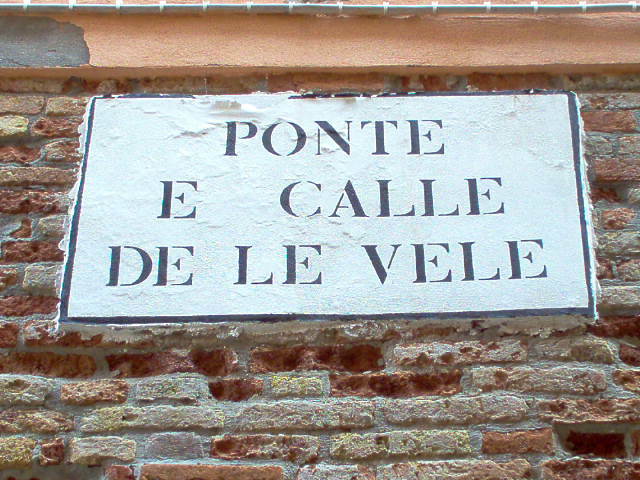 Calle for exemple: in general means all the streets of Venice; it’s a name that comes from spanish la calle: same writing different spelling. Fondamenta is a walkway alongthe side of the rio (a small canal) And rio is another name that comes from the spanish and means river. Rio terrà, it’s a in-filled canal used now as a street. Thanks to its special status (in Venice it’s impossible to add new streets) the city has maintained the same toponyms for centuries. Maybe it is the only city in the world where the street names tell such a buch of different incredible stories. 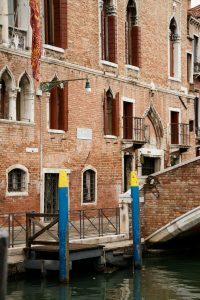 Sometimes legends, sometimes anecdotes; here and there, famous characters of the Serenissima republic and common people remembered in the area for centuries. It is impossible to tell all these stories but when you have the chance to be in Venice look up on the building walls and read the name of the street: take a photo or write it down and then check on internet. Maybe you are walking on the same path of the patrician women that came here to buy beautiful furs (calle dei varotieri) or imagine in front of you the first woman in Venice to play tennis in 1661 in calle della racheta (tennis racket). Or, if you pass across rio terà Barba Frutariol, think of the good man called barba (little name for uncle in dialect) selling vegetables and fruits remembered for his good heart and his engagement in the community.